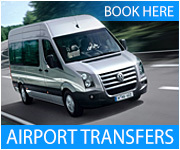 Especially if you’re using Lisbon as a base from which to explore the surrounding areas, such as Sintra, or if you plan to travel further in Portugal, renting a car can be the best option. This will save you the trouble involved in figuring out the often idiosyncratic time tables of public transport in less developed regions, the inconvenient times and connections you may be faced with and the seemingly inevitable delays. Especially more rural areas are far better visited by car than by public transport. Bear in mind what you’ll be using the car for and choose an appropriate model. Heading into the hottest parts of Portugal during a heat wave without air conditioning is certainly not the most comfortable way of doing it and if you’re going to be faced with rougher terrain, for instance in the Serra da Estrela or even exploring the wine farms in the Douro, be sure to select a more powerful model with good road clearance. 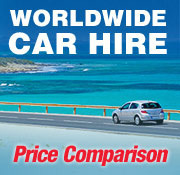 For further details on car rental, click here.